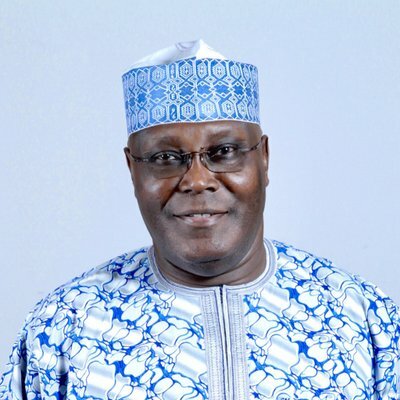 The presidential candidate of the Peoples Democratic Party (PDP) Atiku Abubakar, has promised to create three million jobs every year if he is elected as president in the 2019 election. Giving a breakdown of the rate of unemployment in the country, Atiku said, “Close to 16 million people are unemployed, nine million more than in 2014. According to Atiku, “Unemployment for women and young people is at 33%, 70% of unemployed youths are uneducated and unskilled. Creating jobs and economic opportunities for these people will be vital both for reducing the pool of easy recruits for violent groups and reducing underlying grievances that feed the conflict”. As a solution, he said his administration, if elected in 2019 will, “Launch a new, more efficient, cost-effective and sustainable national Entrepreneurship Development and Job Creation Programme. “Target the creation of up to three million self and wage-paying employment opportunities in the private sector annually. “Target all categories of youth, including graduates, early school leavers as well as the massive numbers of uneducated youth who are currently not in schools, employment or training. “Create incubation centres, clusters and industrial/commercial hubs to provide a marketplace for MSMEs and SMPs. “Champion the repositioning and streamlining the activities of the existing Federal and State Government Job Creation Agencies”. Apart from job creation, the document also lists three other areas of priority namely infrastructure development, human capital development and poverty eradication. According to the former Vice President, he has plans to lift 50 million Nigerians out of poverty, by 2025. Furthermore, he stated that he has plans to privatise the Nigerian National Petroleum Corporation (NNPC) and also sell all four national refineries. Other areas of focus in terms of infrastructure is the construction of 5,000 kilometres of roads, and 5,000 kilometres of modern railway. Our campaign offers a simple message: United, the people of Nigeria can begin anew, creating a prosperous and secure future and a better life for every Nigerian. “Our policy document focuses on creating jobs, ensuring security, growing business, developing power and water infrastructure, agriculture and education and how we will empower women. “Our policies outline the goals and methods for developing and revitalising Nigeria as the foundation of our campaign. This policy document is being launched to encourage a dialogue with the people of Nigeria, inviting everyone to join us in helping to get Nigeria working again.